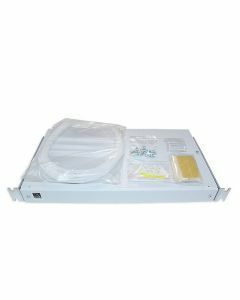 Splicing panel is for use in a group of apartment buildings, where network connection is divided from the main distribution site to the sub-distribution sites. When using splicing panel, there is no cross-connection between the buildings. Size of the panel is: width 19-inch, depth 250 mm, height 1U. 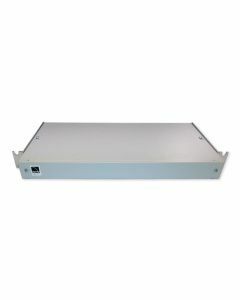 The panel can be mounted on a rack and the splicing stored inside. The front cover is solid.